The Medi-Cal Incentives to Quit Smoking Project is excited to announce that as of May 1, 2015, over 43,000 smokers have enrolled to receive tobacco cessation counseling services, gift cards and free nicotine patches from the California Smokers' Helpline. The Helpline has received over 83,000 calls from Medi-Cal smokers during the project period from March 2012 through April 2015. Due to the success of the project and the resulting high volume of calls to the Helpline, MIQS incentives are projected to end by July 31, 2015. After that date, Medi-Cal members are encouraged to continue to call the Helpline at 1-800-NO-BUTTS for free telephone tobacco cessation counseling services. 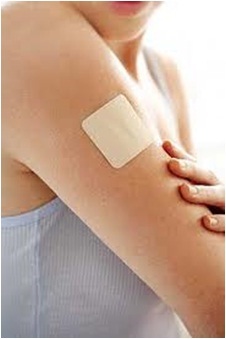 Smokers may receive nicotine patches paid for by their Medi-Cal Managed Care Plan, when obtained through a pharmacy. Some callers may qualify for other incentives offered through special projects like CEASE California (for parents of children 0 to 5) and the Asian Smokers' Quitline. Notify Medi-Cal members and providers that the incentives (free nicotine patches and gift cards) will end by July 31, 2015. Remind providers and health professionals to Ask, Advise and Refer smokers to the Helpline, and encourage them to sign up for the Helpline's Web-Based Referral Service. Send providers and smokers to the Helpline's website for more information on special projects, provider training, and smoking cessation resources. The MIQS staff would like to thank our statewide and local partners for their contribution to the success of the project. Your partnership in promoting the project has made the difference in helping tens of thousands of Medi-Cal members to quit smoking, thereby improving their overall health status and reducing chronic disease rates.